The Evening & Weekend Program (EWP) is offered through the College of Education and Human Development's School of Lifelong Learning. EWP is an educational alternative for adult learners who are unable to attend programs that are offered at traditional times during the week. The EWP supports the degree completion of Adult Nontraditional Learners who are Professional Interdisciplinary Studies majors. EWP offers an option to complete your baccalaureate degree, whether you plan to begin a college education, complete an interrupted college education, change your academic major, or transfer from another two or four-year institution. We are committed to providing our Interdisciplinary Studies students with the same high quality education opportunities provided to traditional daytime students, while also accommodating their increasingly demanding lifestyles. The EWP’s goals include providing a competitive degree program for working adults, as well as offering a full range of services. Such services include, but are not limited to admissions assistance, assistance with the financial aid process, advising and scheduling. The Evening/Weekend Program within the School of Lifelong Learning will provide you with the same student support services you would receive if you attended classes during the week, such as: Library, Academic Advisement, tutorial/supplemental instruction, and Computer Lab. The Evening and Weekend Program is offered mainly after the regular workday between 6:00 p.m. – 9:00 p.m., Monday-Friday, and 9:00 a.m. – 4:00 p.m. on Saturday. The aim of the EWP is to help the adult population to balance the need for lifelong learning and professional development, with family obligations and work responsibilities. 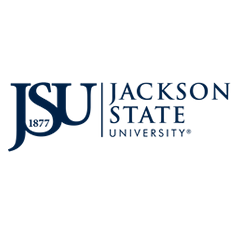 EWP students who attend classes year round, including summer sessions, can complete their bachelor’s degrees in three years or less, if transferring credits to Jackson State University. If you would like more information about our Evening and Weekend Program, please contact our Director of Student Support Services, Dr. Gloria Smith, at 601-979-8777 or 601-979-8724.